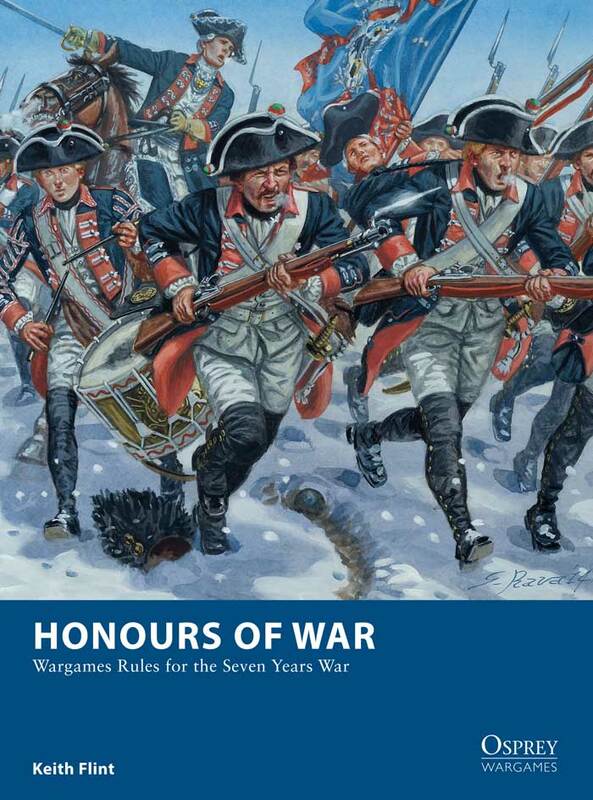 This site has been set up to support the Honours of War wargames rules for the Seven Years War. The main part of the site is the forum, where you can take part in discussions about the rules and have your questions answered. You should find all the stuff you expect to see on a wargames forum. 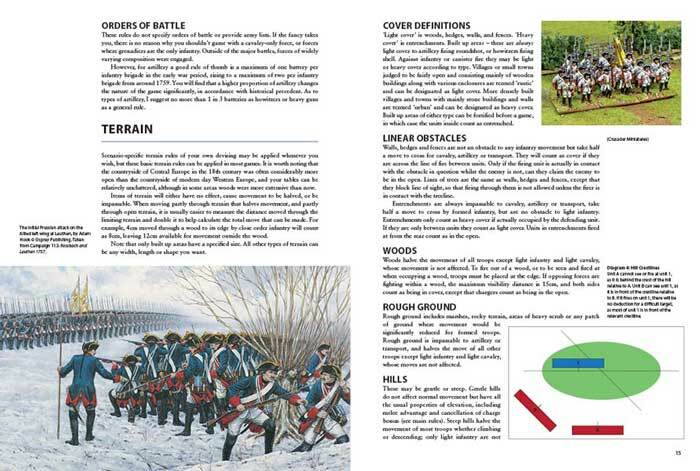 On the Downloads page you will find free downloads of scenarios, errata and any new rules that are introduced over time. Please help yourself. The Author’s Notes page gives some background to the rules and also some thoughts on playing the game, neither of which could be included in the book for space reasons. Most of the photos you will encounter on the website were taken by me, and feature my own Prussian and Austrian armies using mainly RSM95 models. A few of the photos, which will be obvious by their much higher quality as well as the much higher standard of figure painting and terrain, are courtesy of James Roach. James, thanks for contributing these. I should mention that this site has been created by the author as a personal project. It is not an Osprey Publishing website. Any screw-ups and problems are down to me. However, thanks are due to Phil Smith at Osprey for his encouragement and for contributing copyright material.